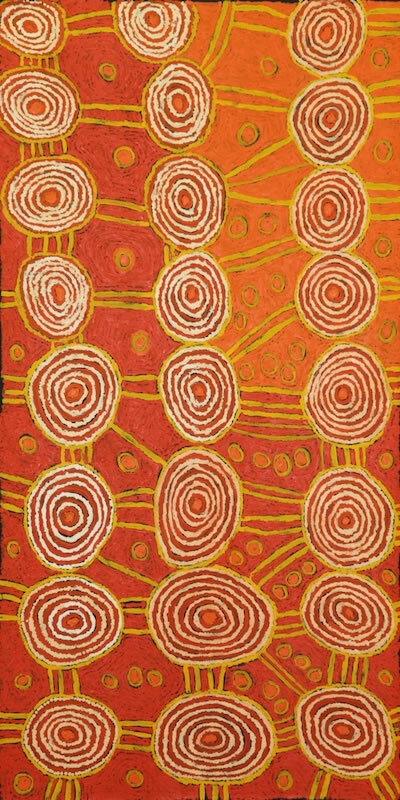 Kawayi Nampitjinpa has been painting since the late 1980s, however she only began painting regularly for Papunya Tula Artists in 2003. Since 2004, she has exhibited in numerous group exhibitions across Australia. Her work is included in significant national collections including the Art Gallery of New South Wales, Queensland Art Gallery and National Gallery of Victoria. 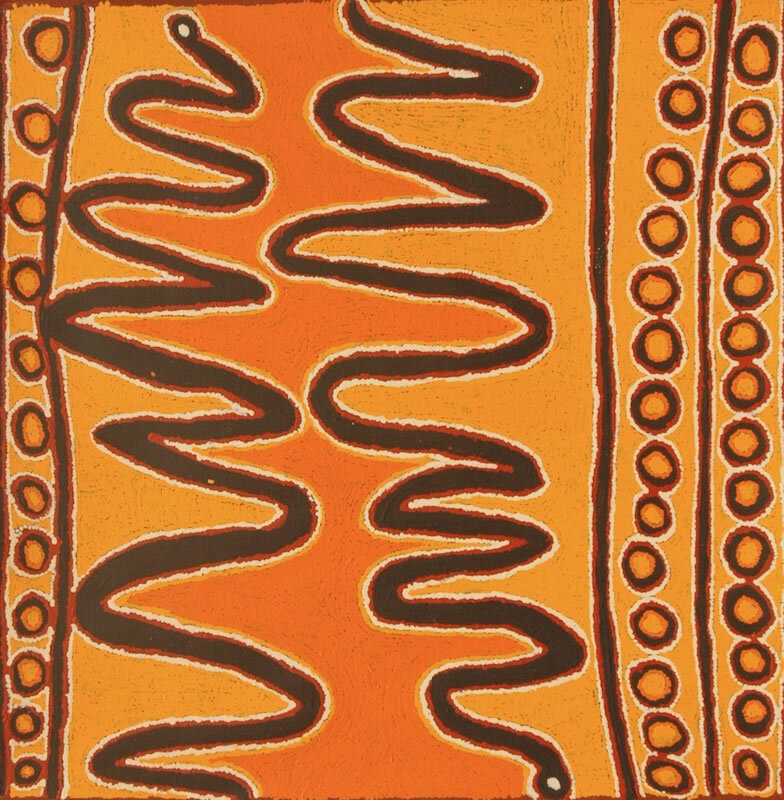 The stories that Kawayi refers to in her work centre around the site of Pinpirrnga, a rockhole north of Kintore and close to the outstation of Desert Bore which was established by her late husband and artist, Benny Tjapaltjarri.